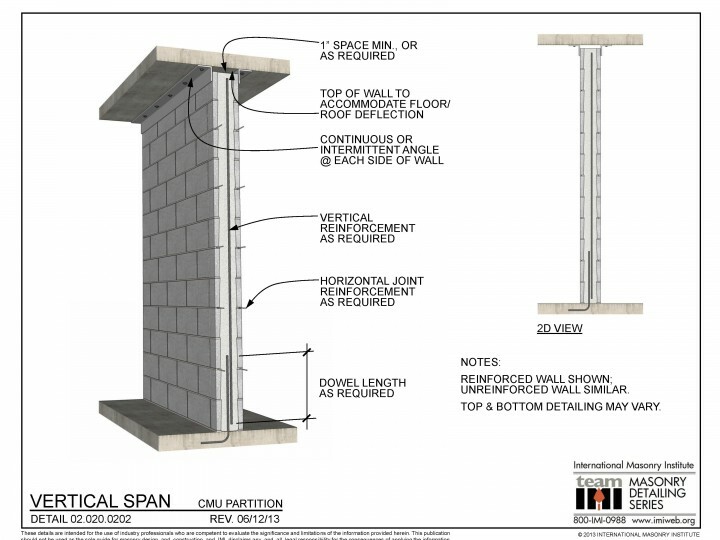 This partition detail shows a vertical span condition. 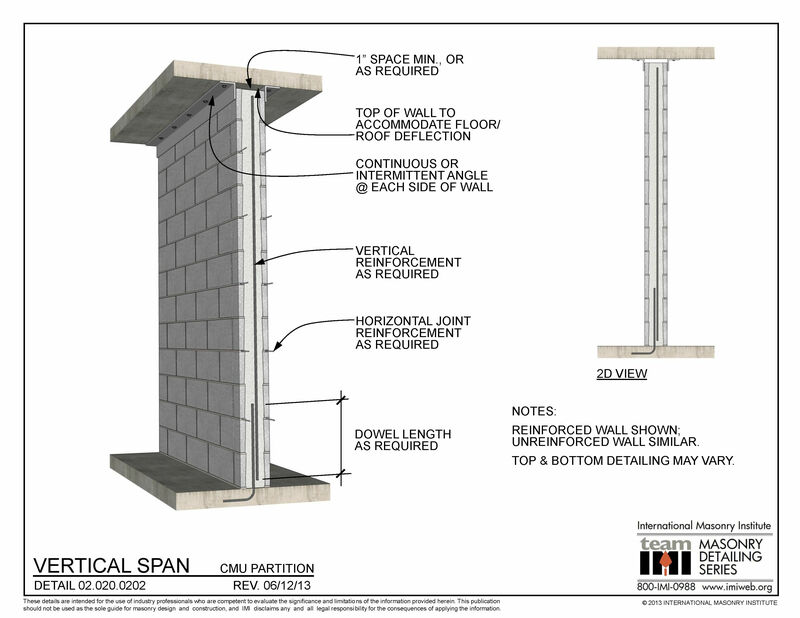 The wall is anchored at the base with a vertical dowel into the slab. There is a gap at the top of the wall to allow for deflection of the structure above. Horizontal joint reinforcement and vertical reinforcement are shown. Top and bottom detailing may vary.